The Number One Independent Bingo Club in Southampton! 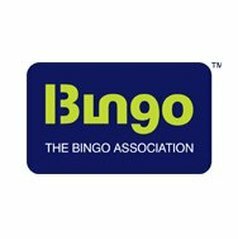 ​New Century Bingo is a family run independent bingo club based in Shirley at the heart of the High Street. We pride ourselves in supporting local businesses and schools; to us the community comes first! We specialise in giving our members great value for money and unbeatable promotions! We offer a friendly and fun filled atmosphere. We have a brand new menu at our café bar as well as a fully licenced bar. We have 18 Fruit Machines, including £500 Jackpot Machines. There is a large car park at the rear of the club with ample parking for vehicles. ​The Atherley; as we are still affectionately known from our building’s cinema history; recently celebrated its 100th birthday and received a top of the range refurbishment. New Century Bingo is open from 10:30am to 10:00pm Monday to Saturday, and on Sundays from 11:00am to 10:00pm. Proof of ID required. We operate a 'Think 25 policy'. Check the Job Opportunities page for more information! Please be aware that we are no longer affiliated with the NewCenturyBingo.com online bingo site. If you have an account for this site we can no longer support you.